Keeping your pool’s water fresh and clean without a ton of work is every pool owners dream, however with so many different types of pool chemicals, finding the right pool water care products can be a nightmare. Not anymore, FROG® pool products are the only fresh mineral systems designed to keep your pool water cleaner, clearer, and softer, while cutting your swimming pool’s chlorine use by up to 50%*. 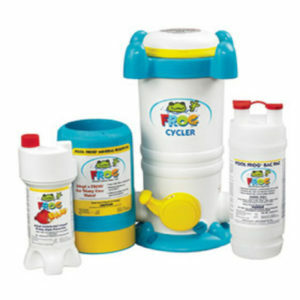 Whether you have a 2,000 gallon INTEX® soft-sided swimming pool or a custom designed 40,000 gallons in-ground pool with a built-in hot tub and a waterslide, FROG® has all the pool water care products you need to to keep your swimming pool water clean and clear all summer long, without the hassle of having to measure out and handle chemicals. Complete pool care now comes in a convenient package for above ground, inground or soft-sided pools 5,000 to 10,000 gallons. Flippin’ FROG XL creates Fresh Mineral Water for 6 months and flips over every 3-4 weeks when it’s time to replace the chlorine cartridge. Don’t spend hours on pool maintenance; let POOL FROG do the work for you. 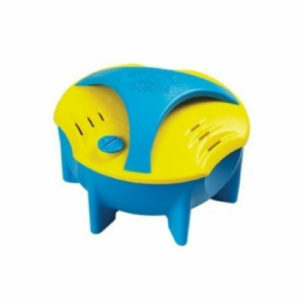 Designed for above ground or in-ground pools up to 25,000 gallons, the POOL FROG Model 6100 is the #1 hassle-free Fresh Mineral Water pool care system. Imagine eliminating your pools heavy chlorine odors and reducing the chlorine used in the pool by up to 50%*, all while keeping it clean and bacteria free, POOL FROG Model 6100 does just that. Designed using our No-Touch delivery system, water stays clean and clear, without the need to measure or handle pool chemicals, giving you more time to spend with your friends and family around the pool. The ultimate delivery of hassle-free Fresh Mineral Water cares for in-ground pools up to 40,000 gallons. 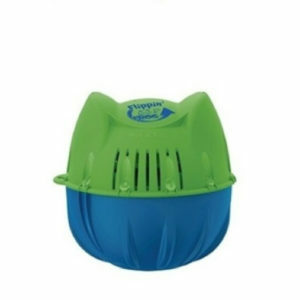 Taking care of your pool has never been easier. 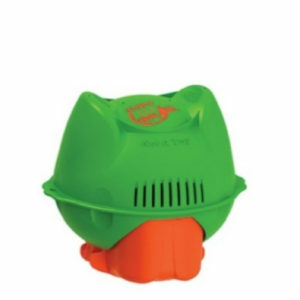 Designed using FROG’s No-Touch delivery system, the minerals in our Pool Frog Model 5400 continually work hard to control bacteria and keep the pH neutral so your pool water stays clean and clear for weeks. 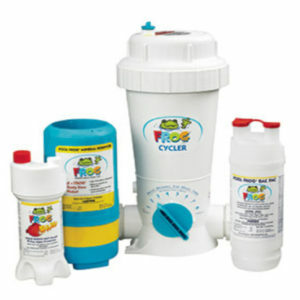 With no daily dosing or heavy chlorine odors, the complete Pool Frog Fresh Mineral Water pool system can allow you to cut chlorine use by up to 50%* compared to standard water treatment programs.